Why is India sabotaging SAARC summits? The South Asian Association for Regional Cooperation (SAARC) summits are usually held biennially, hosted by a member state in alphabetical order. The member state hosting the summit also assumes the Chair of the association. The 18th SAARC Summit was held in Kathmandu, Nepal in 2014. The 19th SAARC Summit, which was scheduled to be held in Pakistan in November 2016 was sabotaged by India not only by refusing to attend, but it had also pressured Bhutan, Bangladesh, Nepal and Afghanistan to do the same. As a consequence, Pakistan and the SAARC secretariat had to cancel the summit. India had refused to attend the 19th summit by blaming Pakistan for supporting cross-border terrorism in Kashmir. It is well known that India does so to undermine Kashmiris’ indigenous peaceful freedom struggle by wrongly equating it with terrorism just to squeeze the international support of the Kashmiris’ demand for their right of self-determination as promised to them by the United Nations Security Council (UNSC) through its resolutions of 1948/49. Through such propaganda, India also aims to undermine Pakistan’s international standing to negatively influence major powers’ and regional friends’ relations with Pakistan. By blaming Pakistan for supporting terrorism, India also aims to mask its strategy of sponsoring terrorism in Balochistan using Afghan soil — to destabilise the province to sabotage the China-Pakistan Economic Corridor (CPEC). As done in 2016, India is also likely to sabotage the 20th SAARC Summit scheduled to be held in Pakistan in 2018. This is indicated by the recent statements of Indian leaders as was published in Daily Times, Pakistan on 9 April 2018. During a recent visit of the Nepalese Prime Minister KP Sharma Oli to India, Indian Prime Minister Narendra Modi, while discussing the possibility of the Summit in India, said, “in view of the cross-border terrorism in the region, it is difficult to proceed with such initiatives.” During his visit to Kathmandu in March 2018, Pakistan Prime Minister Shahid Khaqan Abbasi had sought Nepalese PM, Oli’s support for convening the SAARC summit in Islamabad this year. Despite Pakistan’s sincere efforts to hold the upcoming SAARC Summit as its chair and other SAARC member states’ willingness to make the SAARC summit a success story for their common benefit, India is again playing a negative role. As mentioned above, apart from giving signals of its likely refusal to attend the summit, using India’s economic leverage, Modi is again trying to convince the other member states to decline to attend the summit. India is sabotaging the SAARC summits just for promoting its anti-Pakistan propaganda to harm Pakistan and Kashmiris’ interests. The Indian PM thinks that by sabotaging big regional events like SAARC summits from being held in Pakistan, his blame game against Pakistan will be heard more at the international level. Also, in CPEC, Mr Modi is fighting a major regional economic project. 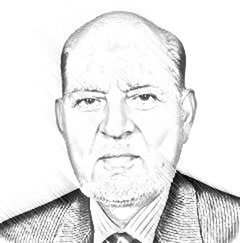 But Modi-led India will not succeed in its negative regional politics, as the world knows about Pakistan’s significant positive role played in fighting terrorism in the region and also because these days the world is interested in cooperation in economic oriented projects such as the CPEC, rather than pursuing negative politics and nurturing old enmities. In view of the above, the regional countries as well the world powers need to look at the cynical politics, which India is doing in the region to disturb SAARC member states’ mutual relations. Modi is himself spearheading this effort to harm Pakistan’s interests and to discredit the Kashmiris’ just freedom struggle. In the light of the preceding, it will be good for the South Asian region if India gives up its negative politics and plays a positive role by attending the upcoming SAARC summit to make it a success. In this regard, it is suggested to other SAARC member states to worry about their peoples’ benefits related to SAARC oriented economic integration, shun India’s pressures and attend the SAARC summit being held in Pakistan this year. Also, they should advise India to participate in the summit instead of pressuring them to decline attending the same.